Before being given a mandate by the people of Kalinga to the House of Representatives, Rep. Allen Jesse C. Mangaoang had been a multi-awarded local leader that races back to his holding the mayoralty post of the town of Balbalan, one of the remote municipalities of Kalinga. He was known to have pioneered grassroots empowerment in project identification and implementation in the 14 barangays of Balbalan aside from working out the rural infrastructure development of the municipality wherein roads were built during his three terms as local chief executive that caused the inter-connection of 12 of the 14 barangays. Mangaoang was also instrumental in institutionalizing the educational assistance program for deserving Balbalan students while working out the construction of a decent dormitory for Balbalan students to cater to the lodging requirements of students coming from the remote barangays just for them to be able to acquire quality basic education from the existing institutions in the center of the town. Further, Sonny institutionalized the human resource continuing enhancement program which was aimed at sustaining the growth of the career path of local government personnel for them to be able to be at par with their counterparts in other localities in the different parts of the country. “We also established the loan assistance for Balbalan Overseas Filipino Workers (OFWs) to allow our constituents to be able to work overseas amidst their financial difficulties and for them to payback what they have borrowed to be used by other interested individuals wanting to work in other parts of the world to earn a decant income that will contribute in uplifting the living condition of their families” Sonny added. Apart from ensuring transparency in the utilization of the town’s available resources, Mangaoang advance the local government’s information and education caravan that allowed the municipality’s basic services to be cascaded to the grassroots level which made him establish closer ties with his constituents. During his incumbency as the province’s vice governor from 2010-2016, Mangaoang authored some 32 ordinances which were enacted that included the amendment of the province’s revenue code to improve locally generated income for Kalinga, tourism code, administrative code, conversion of the Mallago-Sumadel farm to market road into a provincial road, conversion of the Songang-Butbut proper-Loccong farm to market road into a provincial road and the enactment of 27 appropriation ordinances. He was also able to initiate the passage of 162 resolutions wherein 37 were legislative support to the local chief executive granting authority to him to enter into memorandum of agreements with various national line agencies and other funding institutions on financial matters and other development endeavors. While holding the position of Kalinga;s vice governor, Sonny was able to work out and initiate the implementation of the construction of 29 multipurpose buildings, 76 waterworks systems, 73 communal irrigation canals, 65 deep wells, 34 improvement of farm to market roads, 16 multipurpose halls, 78 multipurpose pavements, 7 waiting sheds, 8 public comfort rooms, 56 foot paths or pathways, 12 slab footbridges, 10 gymnasiums through counter parting, 9 riprapping or slope protection walls, 9 fencing of schools and barangays, 11 day care centers, 12 school and barangay stages, 9 box culverts, 7 commercial stalls and 7 warehouses. Kalinga Rep. Allen Jesse C. Mangaoang was considered to be a neophyte member of the House of Representatives being one of the first-term lawmakers that were elected into office during the May 2016 national elections. “We were lucky to be given a chance by our constituents to serve them as their representative to the House. It was a totally new playing field for me because of the involvement of national interest in the crafting of laws although it was not new to me due to my experience in the formulation of local laws,” Mangaoang stressed. In his debut as a lawmaker, he principally authored the passage of Republic Act (RA) 10993 that mandated the creation of the Malagnat National High School, RA 109994 that created the Santal National High School, RA 11016 that created the Biga National High School, RA 11104 which increased the bed capacity of the Luis Hora Memorial Regional Hospital from 100 to 200 beds, upgrading the service facilities and professional health care therein and appropriating funds therefor, among other laws of local application beneficial to the interest of the people of Kalinga, Mountain Province and the Cordillera. On the other hand, Cong. Sonny as he is popularly known among his family members, relatives and close allies also co-authored the enactment into law of RA 10928 which extended the validity of the Philippine passport from 5 to 10 years, RA 10869 that strengthened the assistance to all farmers by providing free irrigation service fee also known as the ‘Free Irrigation Service Act,” RA 11035 that institutionalized the Balik Scientist Program and appropriating funds for the purpose among other laws that are of national concern and beneficial to other municipalities, cities, provinces and regions in the different parts of the country. Cong. Sonny owns the distinction of being one of the neophyte lawmakers who was able to break the traditional practice in the House of Representatives when he was allowed to chair an influential committee, specifically the House committee on indigenous cultural communities and indigenous peoples, which is responsible for matters directly relating to the development of indigenous communities nationwide. He is also the vice chairman of the House committees on natural resources, science and technology and youth and sports and a member of the house committees on accounts, agriculture and food, appropriations, bases conversion and development, dangerous drugs, North Luzon growth quadrangle, poverty alleviation, public works and highways, rural development, social services and national defense and security. A good number of Mangaoang’s proposed bills of local and national applications are either pending with the concerned committees in the House or the Senate or awaiting the enactment of counterpart legislations in the Senate while some of the said bills have been forwarded to the Office of the President awaiting the signature of the Chief Executive. Mangaoang is allied with the Nationalista Party (NP) of former Senate President Manuel Villar, Jr. which is also aligned with the majority coalition in the House. “We were able to immediately adjust to the situation when we assumed as the province’s representative to the House. It was both an honor and privilege to be closely working with well-known legislators from different legislative districts in the country,” Cong. Sonny added. He is also a staunch advocate of regional autonomy being one of the principal authors of House bill (HB) 5343 or the bill authored by all Cordillera congressmen that seeks to establish the Autonomous Region in the Cordillera which is now pending before the House committee on local government awaiting the needed committee action before being calendared for plenary debates. Sonny admitted that there is already lack of material time for the enactment of the proposed autonomy bill into law although he and his fellow Cordillera congressmen were able to gather the overwhelming support of their counterparts from Mindanao to support the passage of the proposed law once submitted for approval in second and third readings. ‘We learned our lessons on the proposed autonomy bill in the 17th Congress that is why we are optimistic that we will be able to advance our region’s quest for autonomy in the 18th Congress once we will be given a fresh mandate by the people of Kalinga to serve them for another term for us to be able to accomplish more in terms of local and national legislation and the allocation of development funds to sustain the improvement and growth of the province’s state of infrastructure,” Mangaoang stressed. As the province’s representative to the House, Sonny envisions to complete the inter-connectivity of the municipalities and barangays through high impact infrastructure projects that will translate to the influx of economic activities in the countryside wherein jobs and other sources will be created for the people to be enticed to live in simplicity. 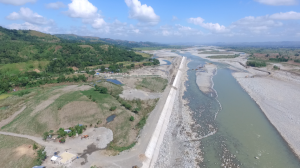 He also intends to leave a legacy to Kalinga by having completed the construction of the P5.5 billion Chico River mega-dike project that will put an end to the perennial flooding to the 19 barangays of lower Tabuk city and the 5 barangays of Pinukpuk. 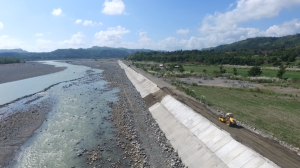 The mega-dike project is an 18-kilometer long and 300 to 500-meter wide infrastructure that will abate flooding, minimize the proliferation of illegal quarrying that will result to increased income from quarrying to the city and provincial coffers, reclamation of over 700 hectares of land that could be converted into a government center, ecotourism area and business center apart from being reforested and establishment of a local air strip that will contribute in the overall development of the province in the future. He was able to facilitate the approval of the plans for the project up to the level of Public works Secretary Mark Villar and the funding for the project is on a multi-year basis until 2022 to ensure that the project will serve its purposes. 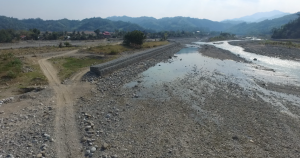 What was proposed, according to the lawmaker, was a permanent solution to the perennial flooding in the low-lying communities of Tabuk City and Pinukpuk so that agriculture industry stakeholders will be able to maximize the potentials of their vast tracks of lands to earn year-round and help in uplifting the living condition of their families. Another problem that the mega-dike will solve, Sonny narrated, will be the savings to be incurred by both the city and provincial governments in terms of the frequent provision of millions of pesos in taxpayer’s money for dredging projects considering that dredging is simply a stop-gap solution to the flooding problem in the said places. 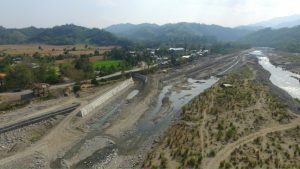 “I wanted to look for other projects that will be beneficial to the people of Kalinga which were not accomplished by my predecessor so that I will be able to leave a legacy to our constituents and I was able to discover the put up of a mega-dike that will be a permanent solution to the perennial flooding of lower Tabuk City and some parts of Pinukpuk,” he added. His father-in-law, the late Rep. Manuel S. Agyao, was able to source out funds from concerned government agencies to link most of the municipalities of the province through the construction of roads and bridges during his three terms as the province’s lawmaker. Aside from completing the link, Sonny also wants to be able to improve the development of the province’s state of infrastructure by establishing the appropriate linkages with concerned government agencies that will provide the funds for the identified priority projects without sacrificing the speedy delivery of basic services to the people. Kalinga is lucky to have a hardworking lawmaker in Cong. Sonny who works extra hard in establishing linkages with fellow lawmakers and Cabinet officials to make sure that the concerns of the province will be given appropriate attention, especially in the provision of funds for the identified priority projects to help in sustaining the improvement of the status of the province. Mangaoang attributed the graduation of Kalinga from the top 20 poorest provinces to the significant accomplishments of the late Rep. Agyao in sourcing out the needed funds to bankroll the implementation of major road projects that connected the different municipalities wherein people had already available access to bring their agricultural produce to the markets not only in the province but also to other provinces in neighboring regions. Because of easier access to the markets, he asserted that farmers were already ensured of income unlike in the previous years where they had difficulty in looking for markets of their produce due to the absence of roads leading to urban centers inside and outside the region. Aside from being actively involved in the law-making process I the House, Cong. Sonny also keeps himself busy by closely working with officials of government agencies pivotal in providing the funds for his priority projects that caused the sourcing out of billions of funds in his two and a half years stint as a lawmaker. In July 2017, Cong. Sonny was designated as the caretaker congressman of the lone district of Mountain Province after the untimely demise of the late Rep. Maximo Dalog, Sr. who succumbed to a lingering illness a month earlier. 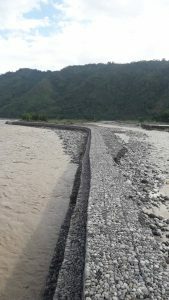 “I believe that infrastructure development of a certain locality will definitely be a catalyst for growth and development that is why we tried our best to make the necessary representations with the concerned government agencies for Kalinga to be provided with substantial budget allocations for roads and bridges that will connect the remote villages of the province that will translate to improved economic activities in the future,” Mangaoang stated. Mangaoang was able to source out more than P6.4 billion worth of various hard and soft projects that were implemented in the different parts of the province over the past two years. At the start of his debut as the province’s representative to the House, Cong. Sonny was instrumental in ensuring the allocation of more than P1.5 billion and P783 million worth of infrastructure projects that were implemented by the Lower Kalinga District Engineering Office (LKDEO) and Upper Kalinga District Engineering Office (UKDEO), respectively, in 2017. 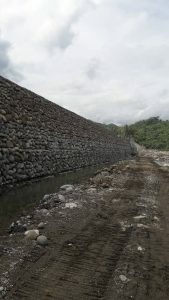 Apart from the funds that were lodged in the public works department, Mangaoang worked out the release of some P1.2 billion from the National Disaster Risk Reduction and Management Council (NDRRMC) in 2018 which was used to implement major flood control projects along major river systems in upper and lower Kalinga that helped in partially addressing the perennial flooding problems in flood-prone communities. “I was told by a close friend that there are funds that could be accessed from the NDRRMC that will be instrumental in funding the restoration of calamity-related projects that is why we immediately worked together with concerned government agencies to prepare the needed programs of work that will support the release of the requested funds. There were only a few lawmakers who were able to access the said funds from the NDRRMC during that time that is why we were able to use the same for the implementation of the identified key flood control projects in the different flood-prone areas in Kalinga,” Sonny explained. He was also able to access some P5 million from the Department of Labor and Employment (DOLE) under the government internship program in 2017 before increasing to P6 million in 2018 while some P2.5 million was sourced out from the Technical Education Skills Development Authority (TESDA) in 2017 before doubling to P5 million last year wherein Kalinga residents were able to benefit from the various programs of government. 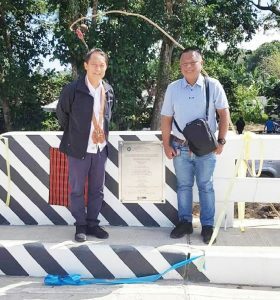 “We will continue to work out the provision of funds for our priority infrastructure projects and our soft projects to help bring the needed change to Kalinga, especially in the improvement of the living condition of families living in the remote communities of the province,” Mangaoang stressed. He assured the people of Kalinga and the Cordillera that he will remain an all-out ally of the Regional Development Council (RDC), the region’s policy-making body, in advancing the passage of the pending bills seeking the establishment of the Autonomous Region in the Cordillera (ARC) for our region to achieve the long overdue self-governance needed for Cordillerans to be able to craft programs, projects and activities geared towards improving the economic standing of the region. “Kalinga will surely moving on to greater heights once we will be able to access the needed funds from concerned government agencies that will be used to bankroll existing unimplemented hard and soft infrastructure projects up to the remotest part of the province. We want our children to have access to education because we certainly believe that education is one of the major catalysts of development in the future,” Mangaoang stressed.